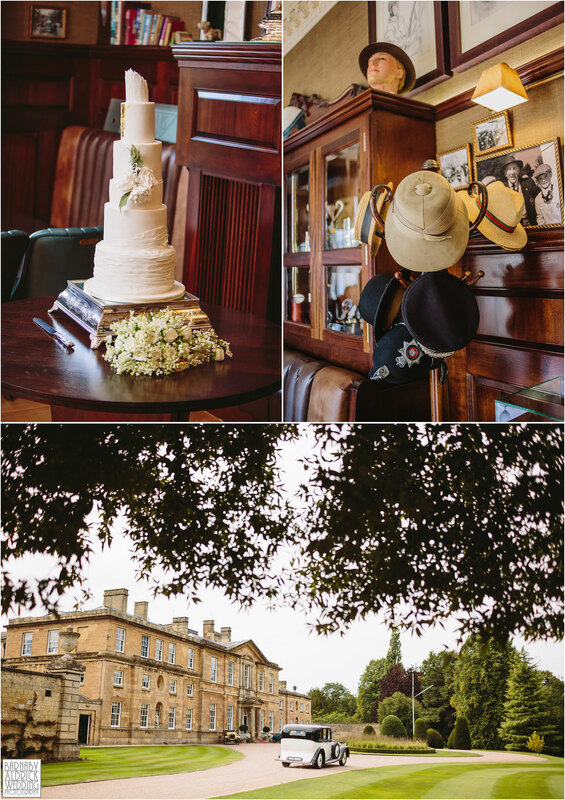 Last weekend I joined Sophie + Stewart for their country house wedding in Yorkshire at Bowcliffe Hall in Bramham, between Leeds and Wetherby! 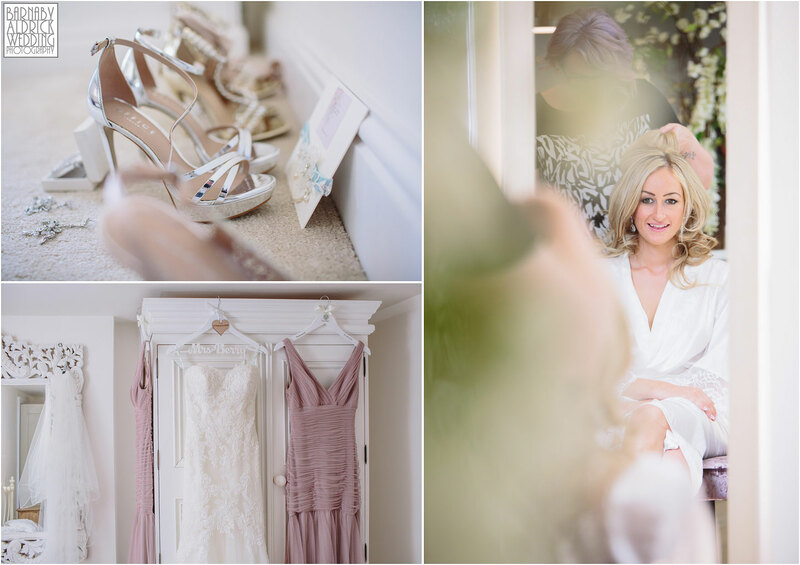 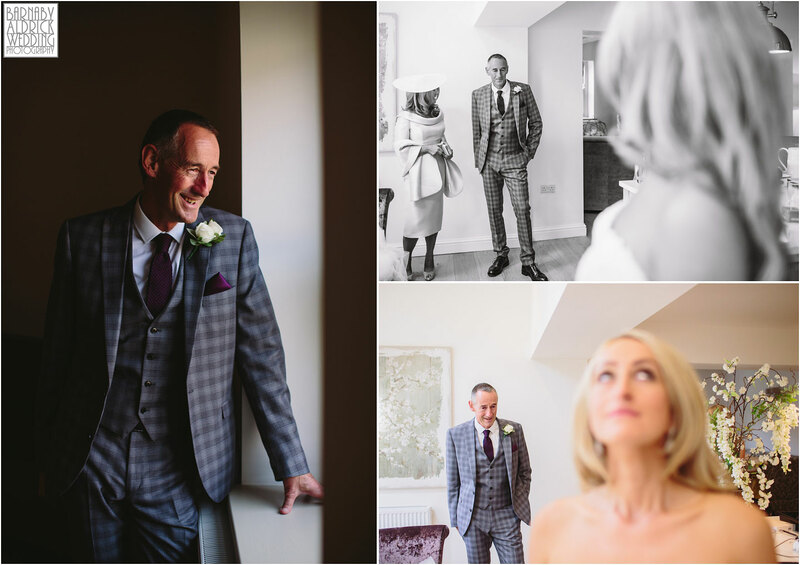 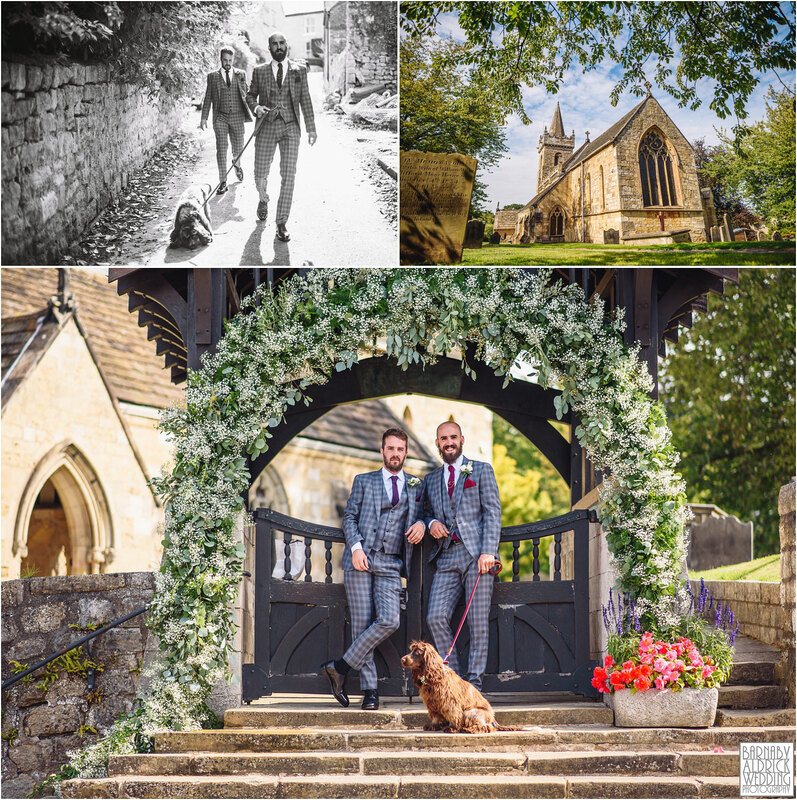 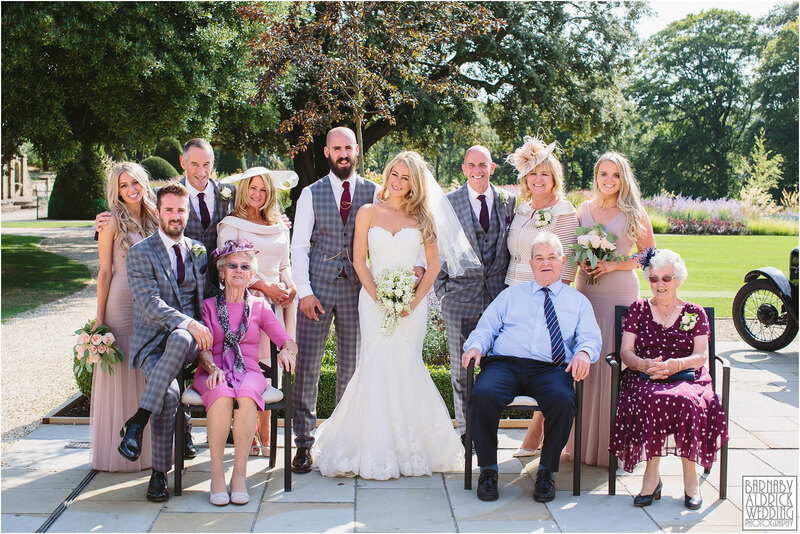 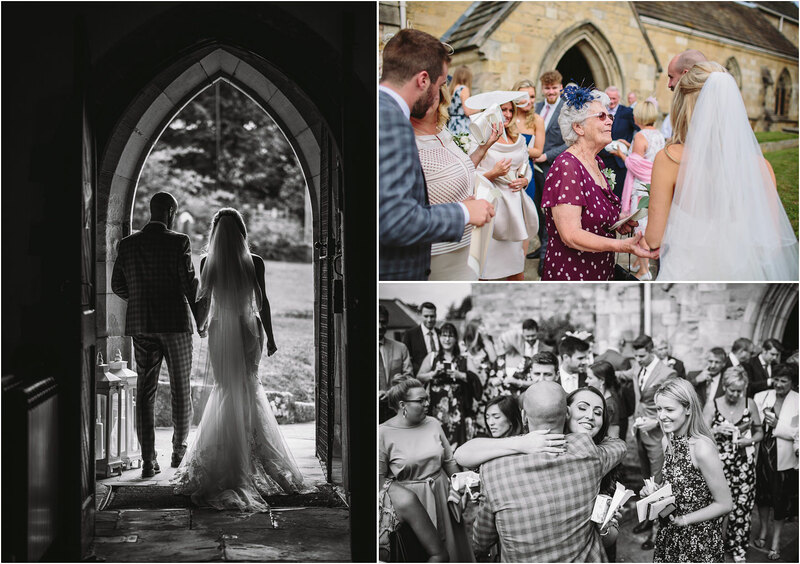 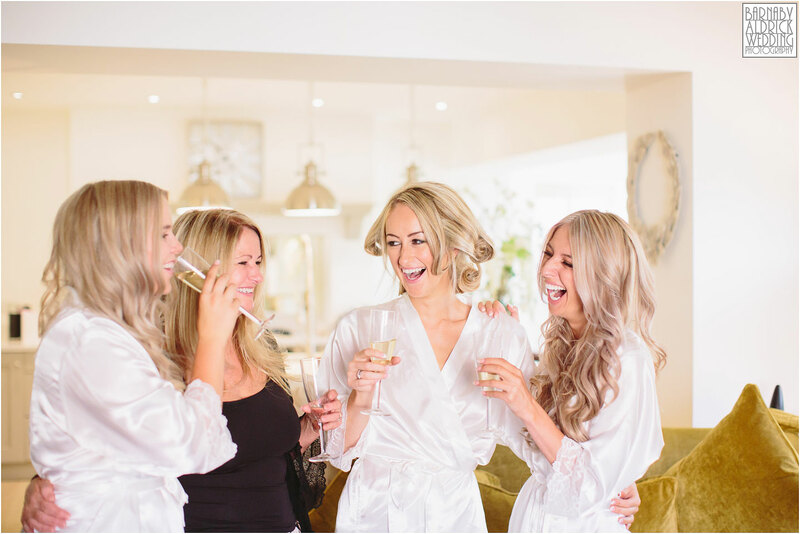 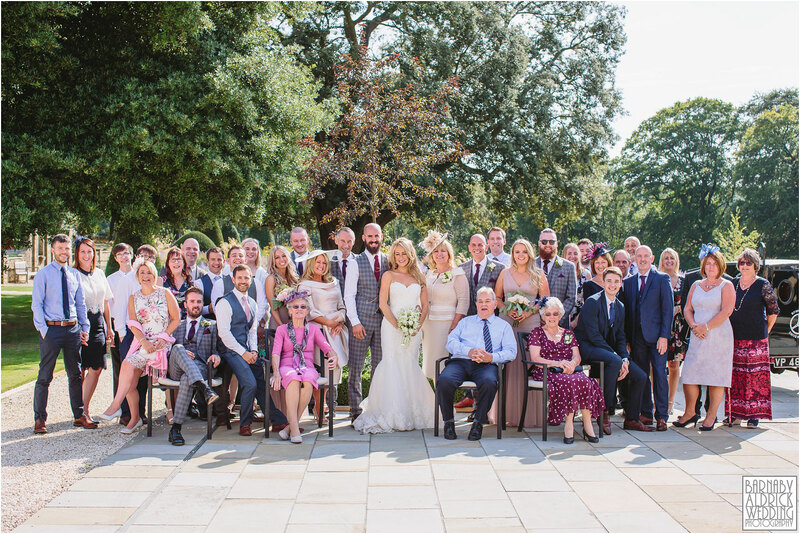 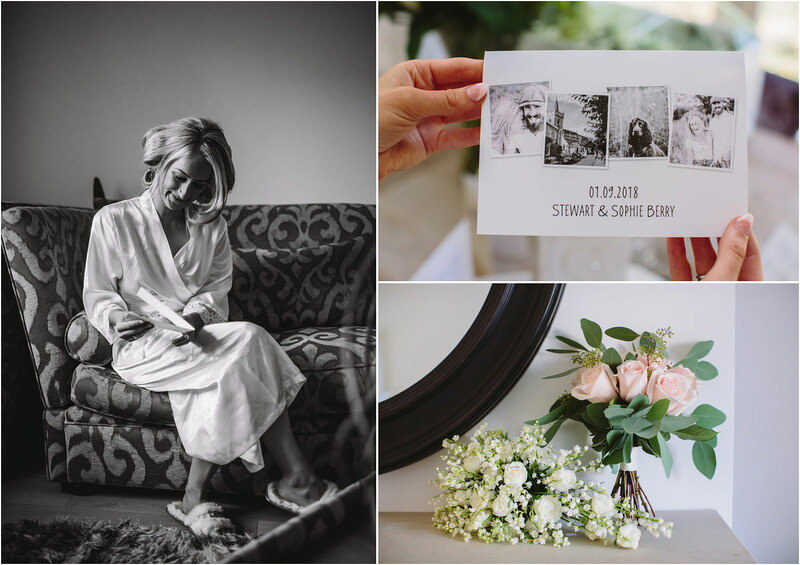 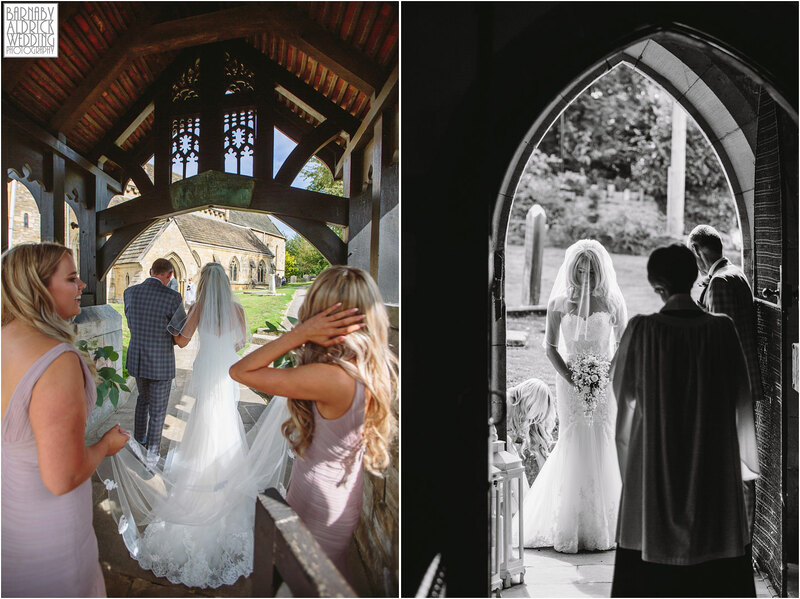 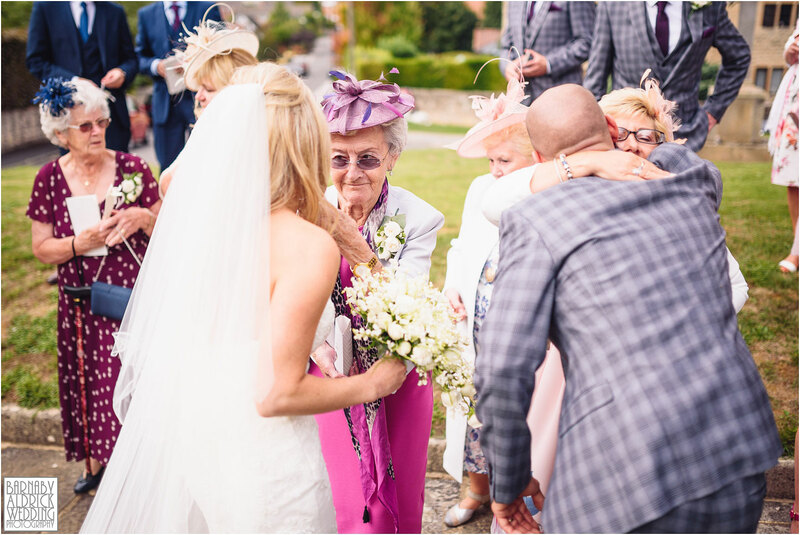 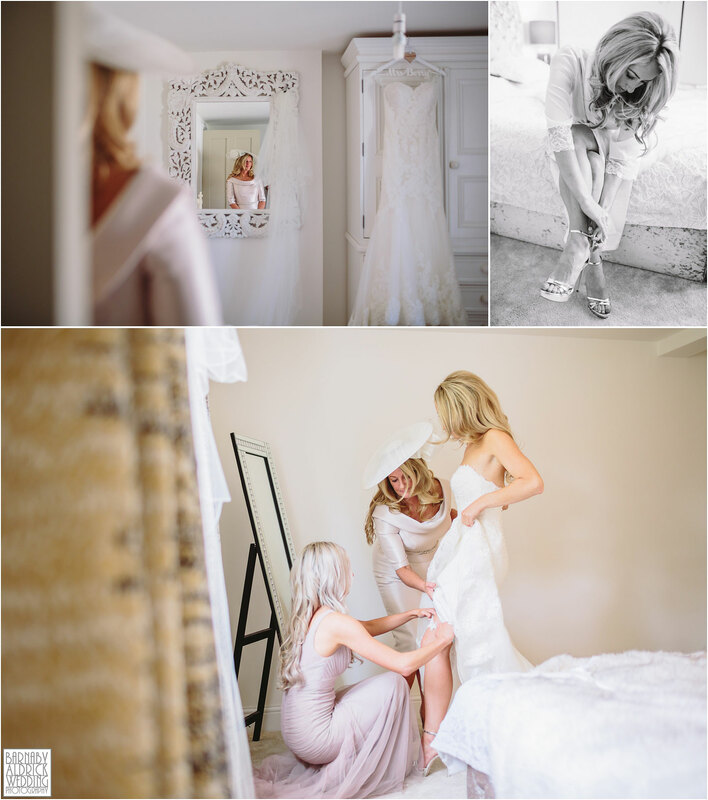 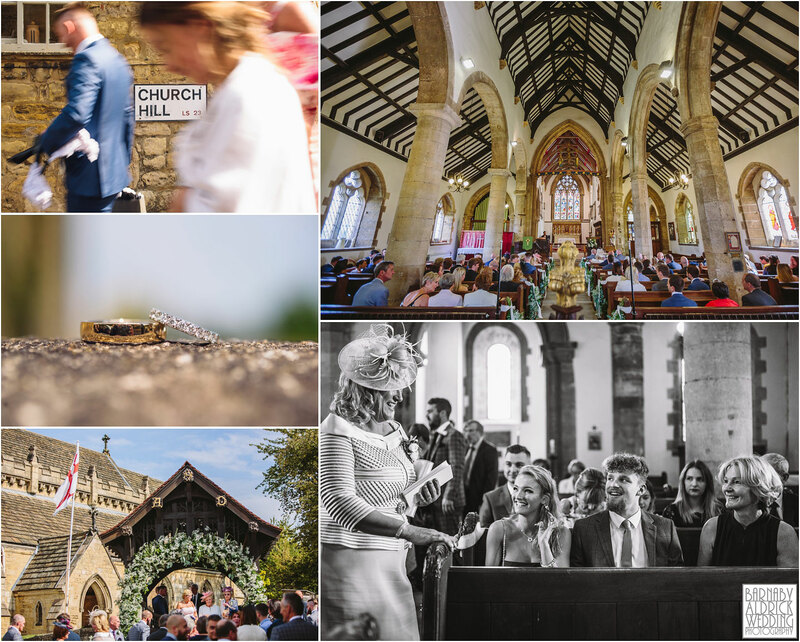 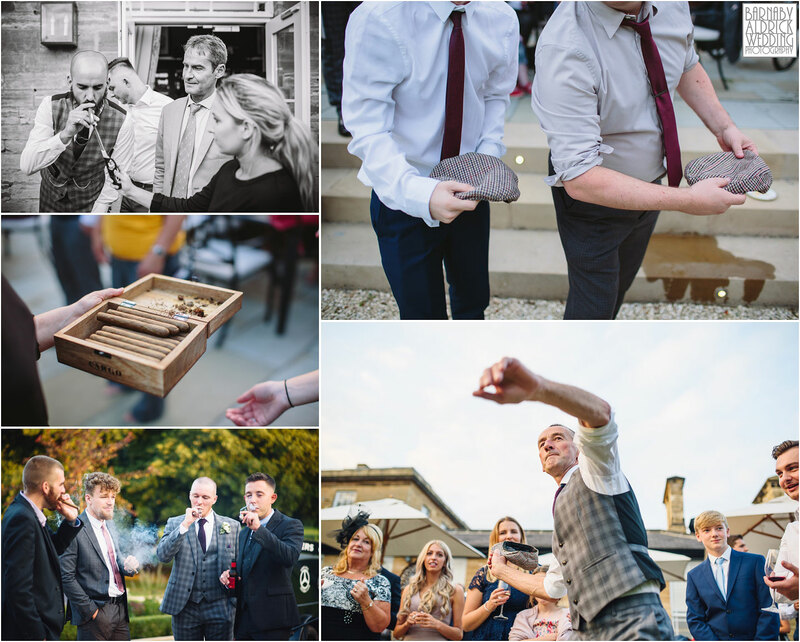 It was a frankly lovely day all round!I I joined the bride, her mum and the sisters for their relaxed preps at Sophie & Stew’s gorgeous home in the heart of Bramham, while my wingman Martyn of Martyn Hand Photography joined the chaps at Stew’s parents’ home in Scholes. 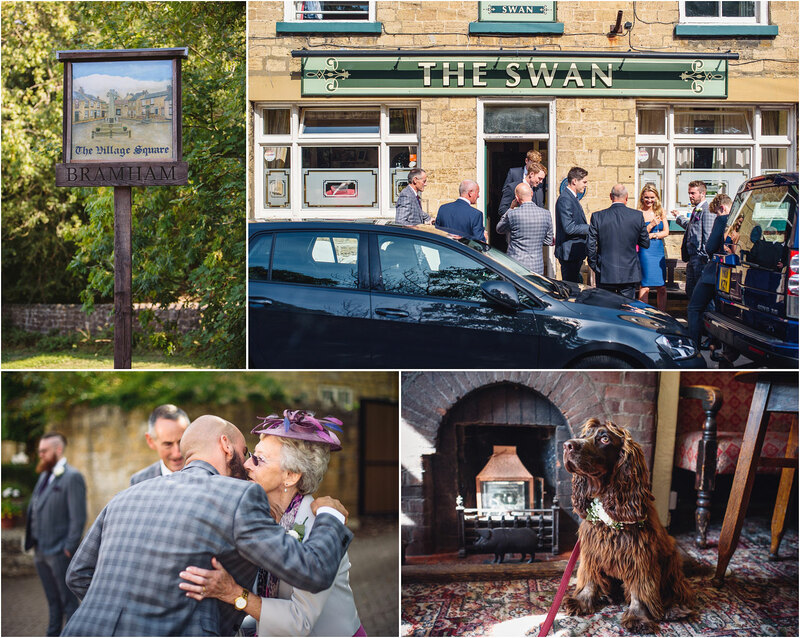 Stew joined his buddies (with their aptly named pooch Buddy) at their local The Swan, before a beautiful service at All Saints Church, literally a stones thrown from their home. 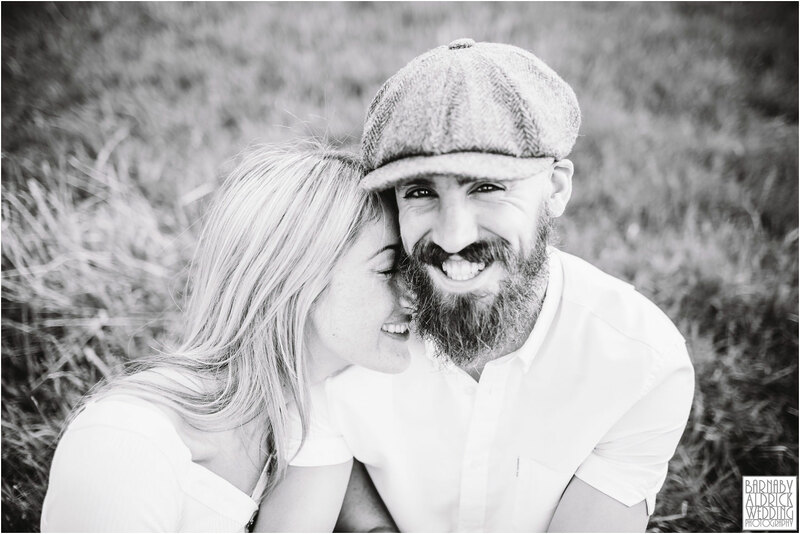 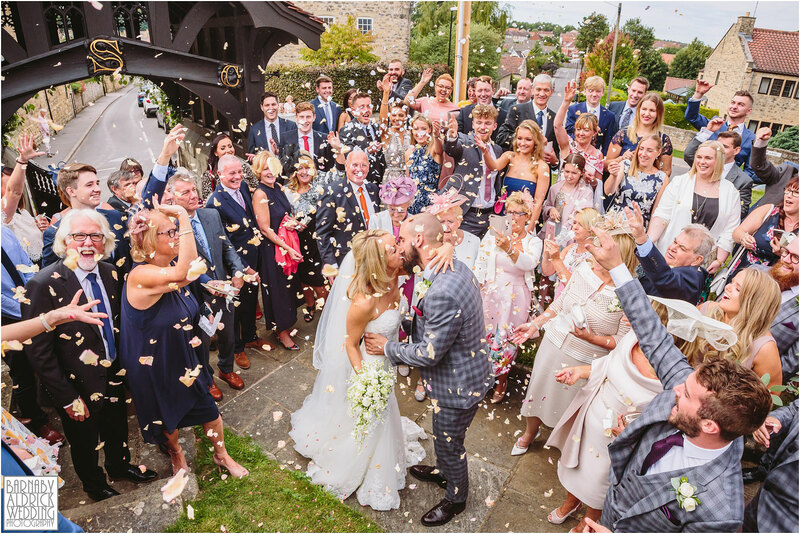 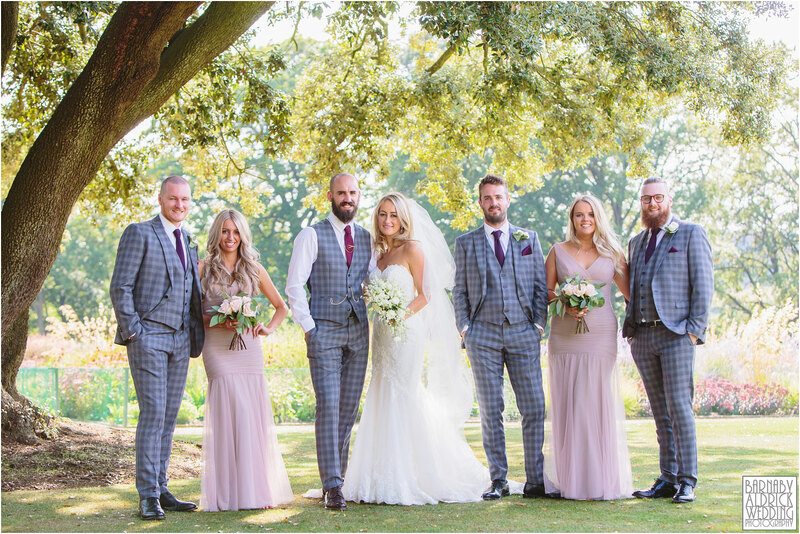 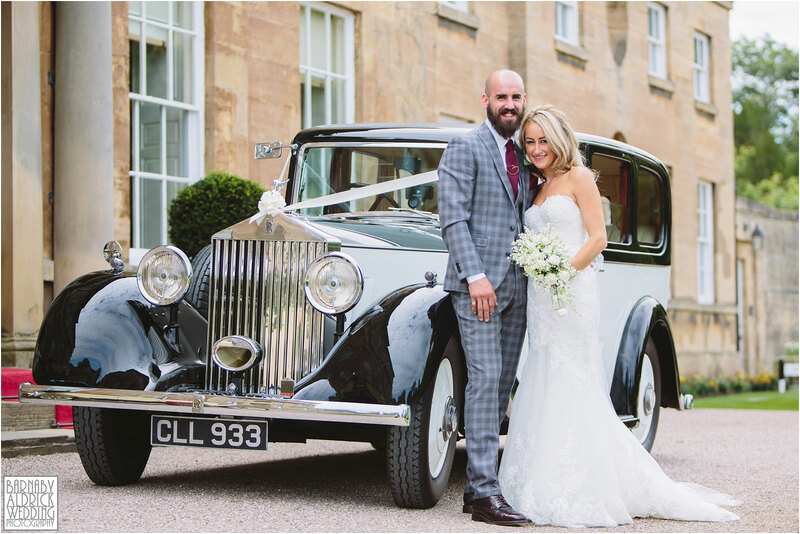 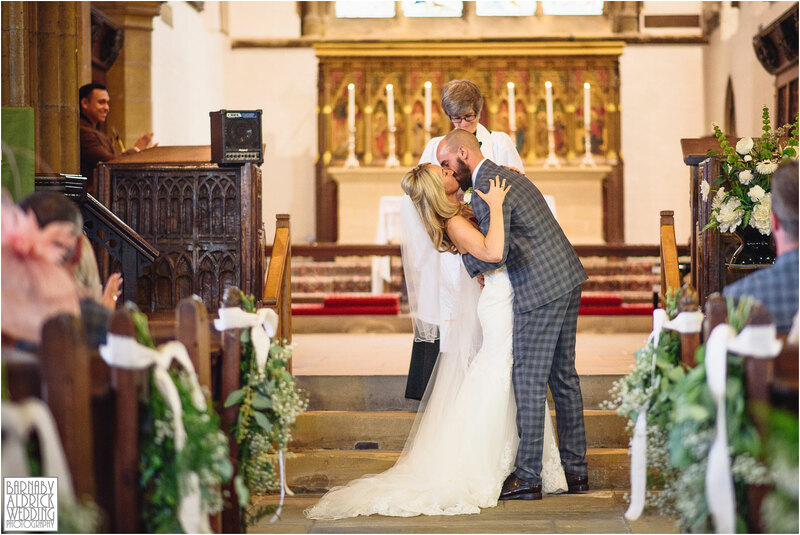 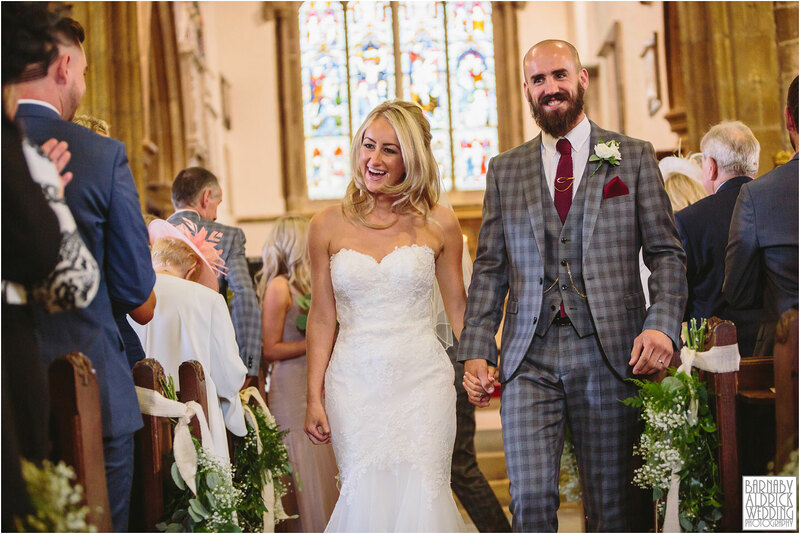 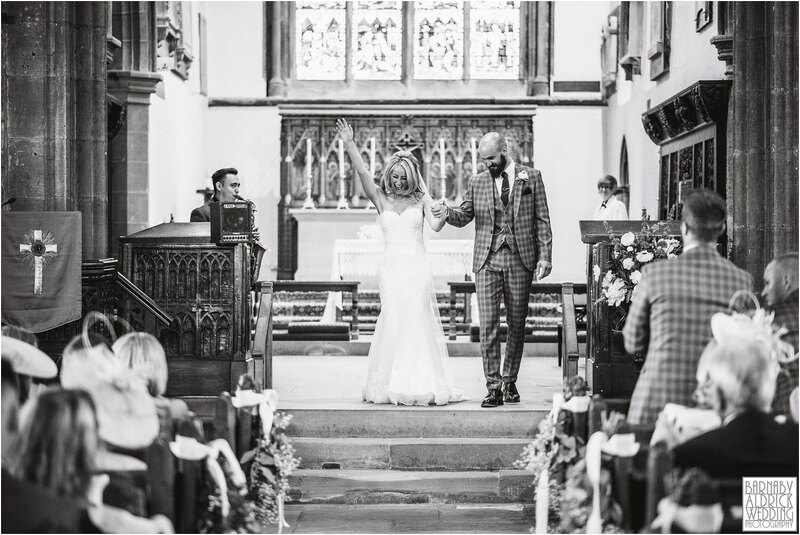 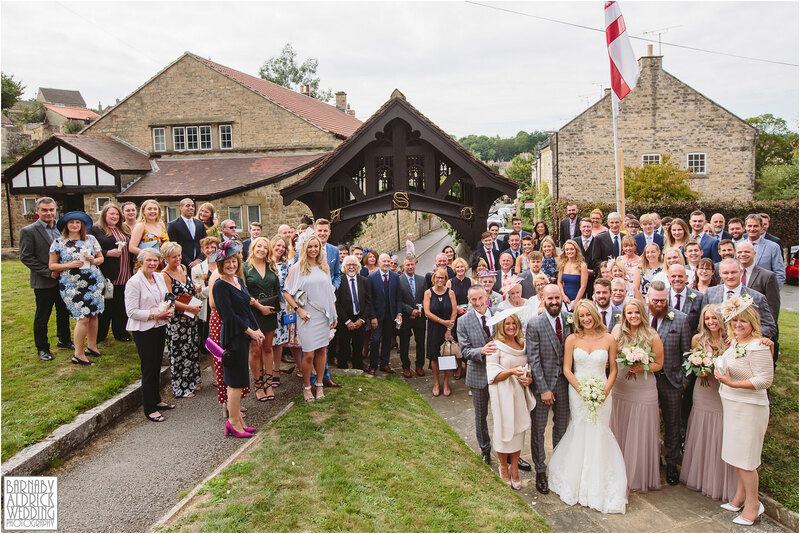 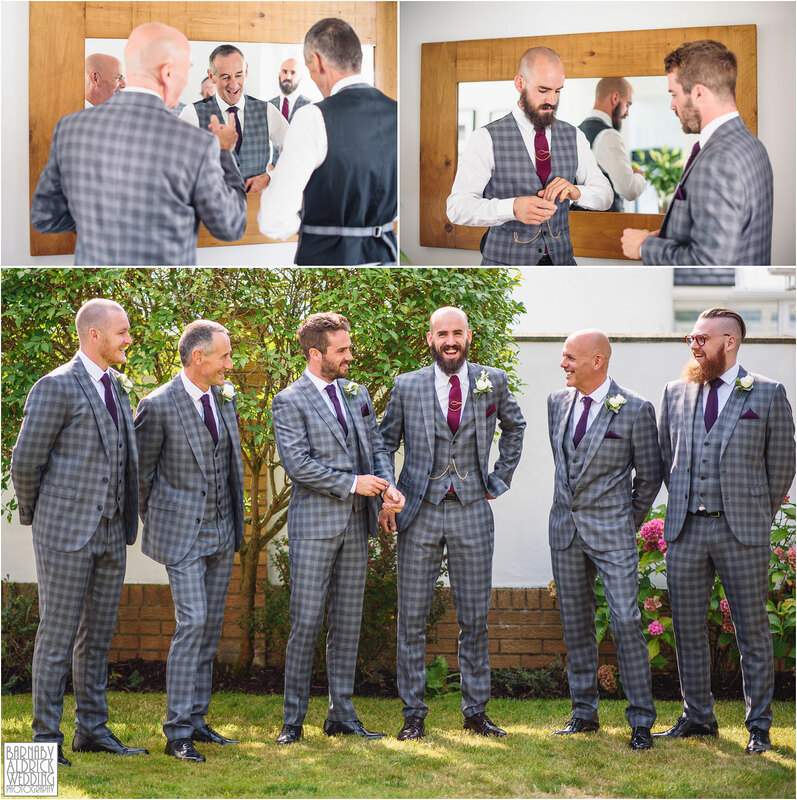 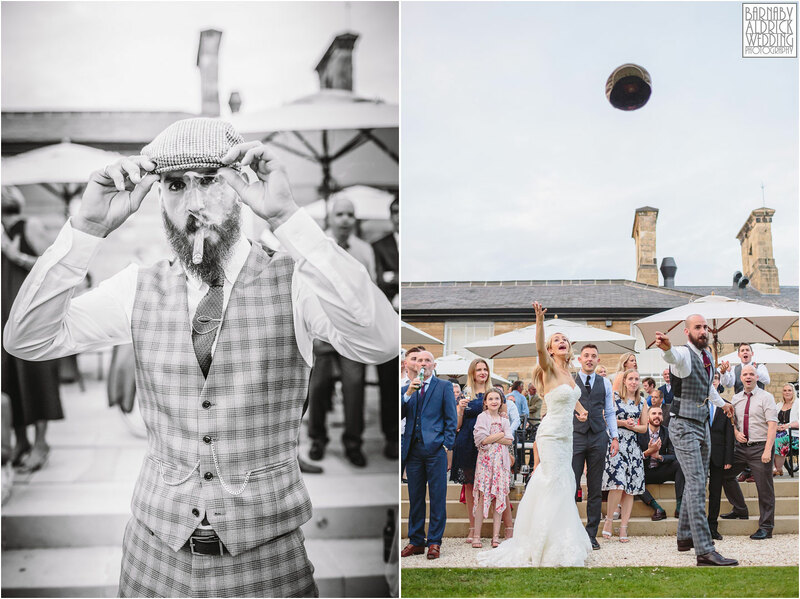 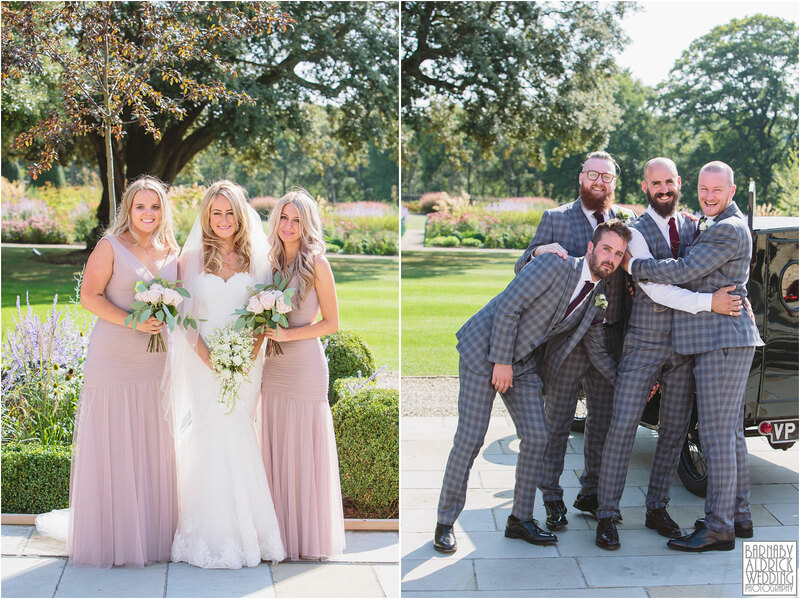 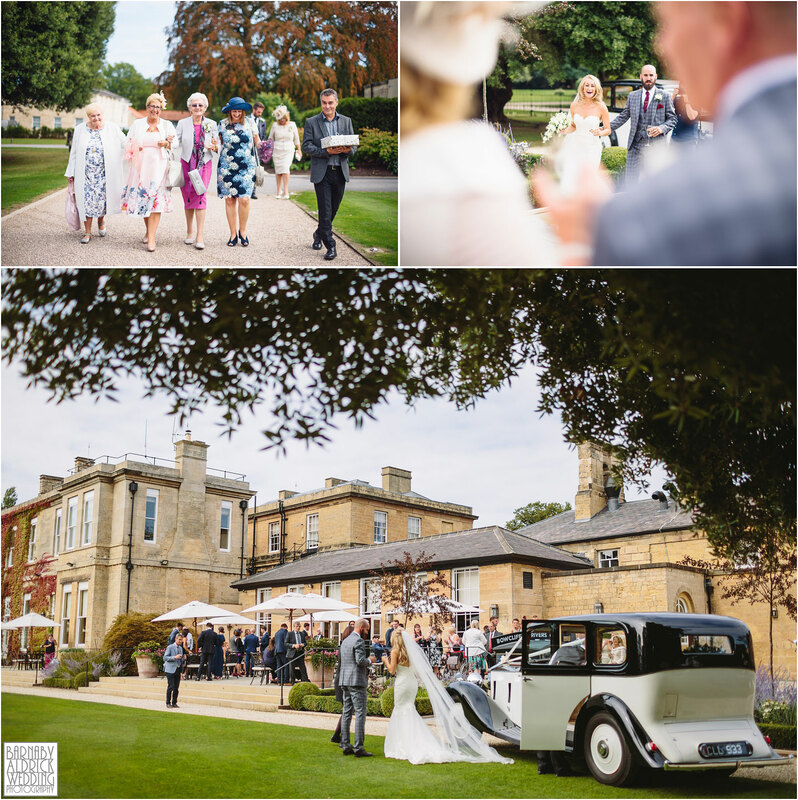 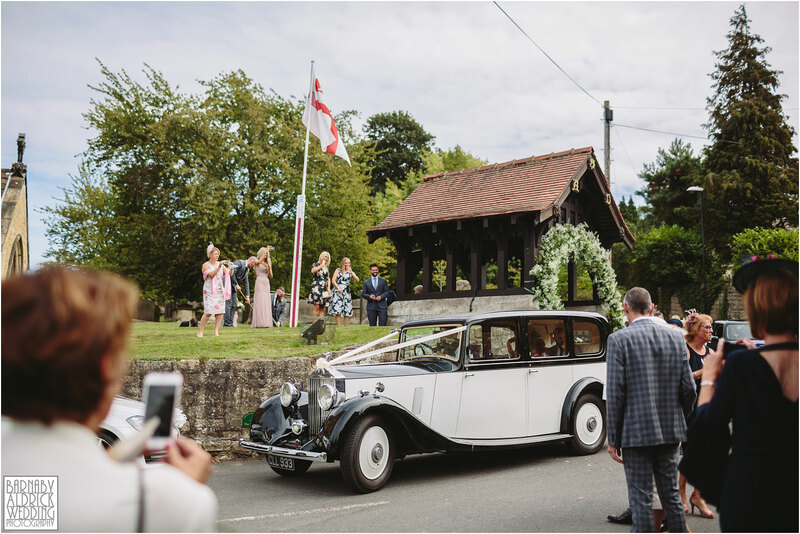 After a whole load of hugs and a toss of confetti, they jumped in the Rolls to Bowcliffe for their fun reception (the highlight being post dinner cigars and a flat cap throwing competition on the lawn!). 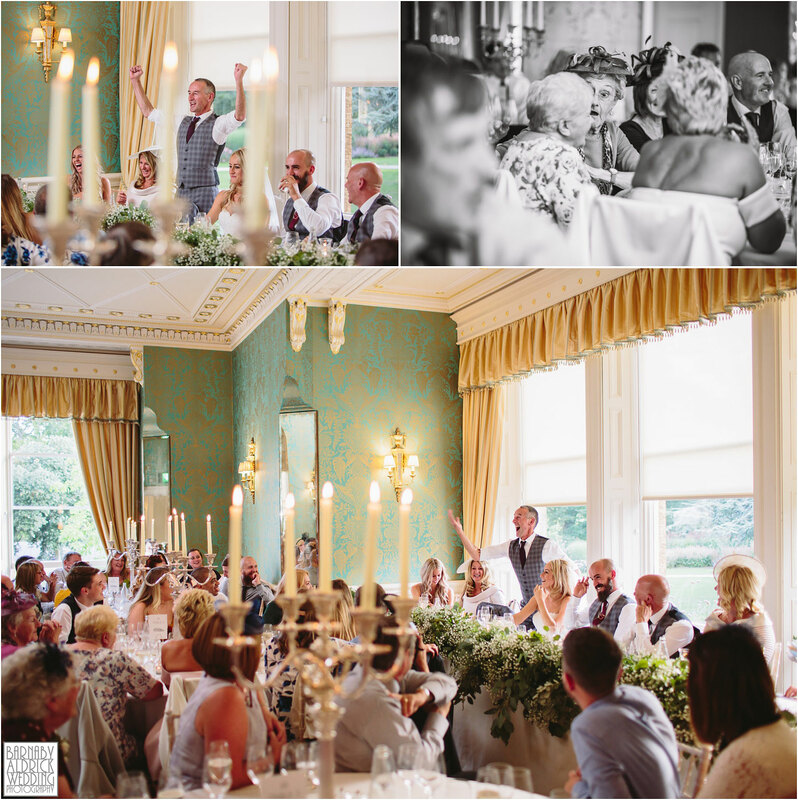 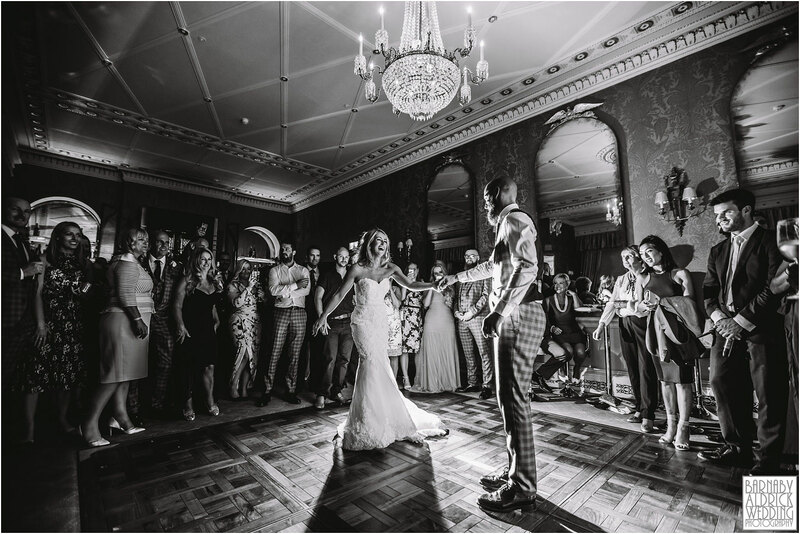 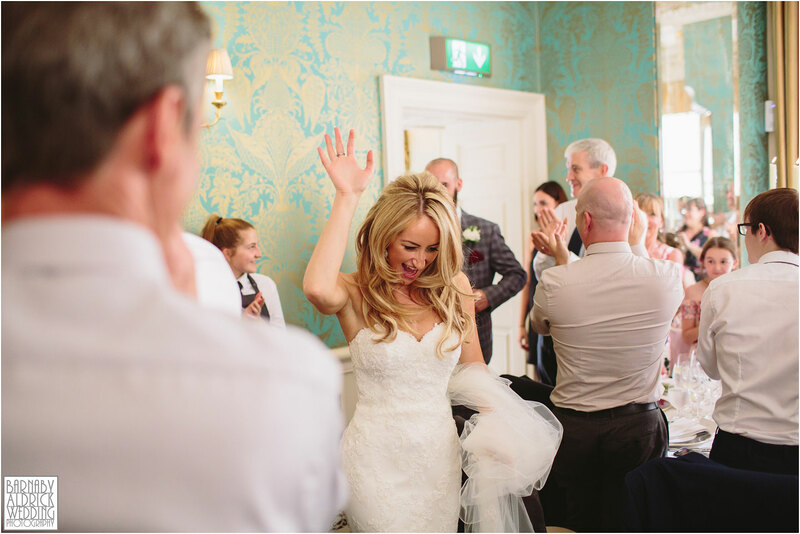 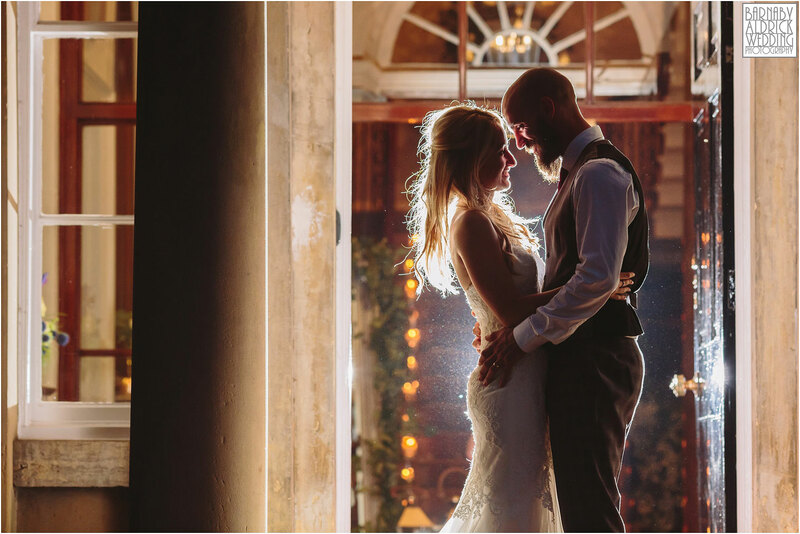 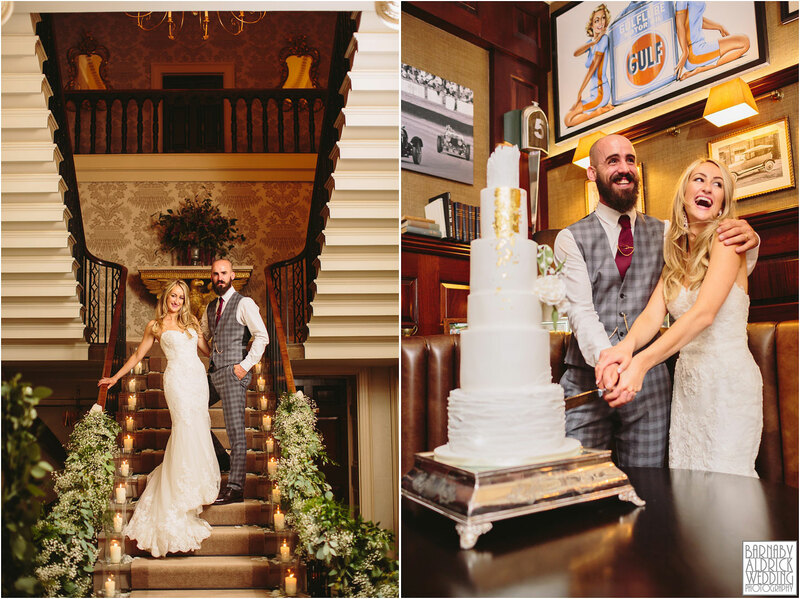 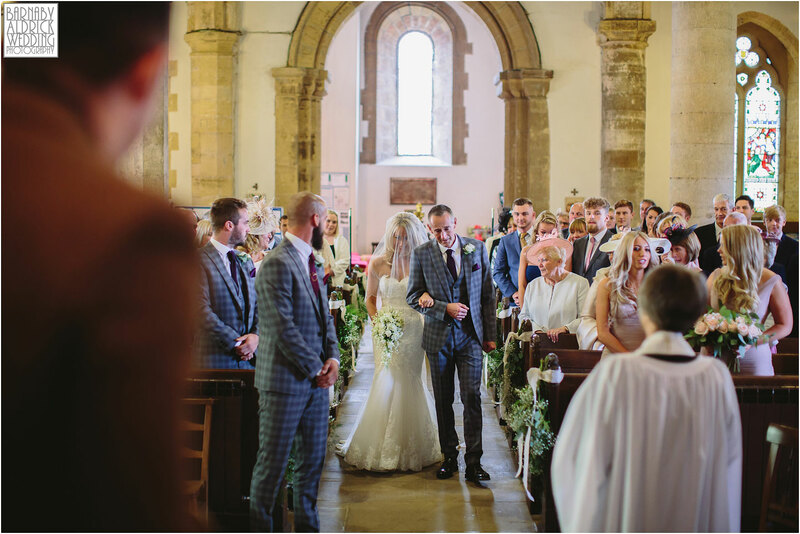 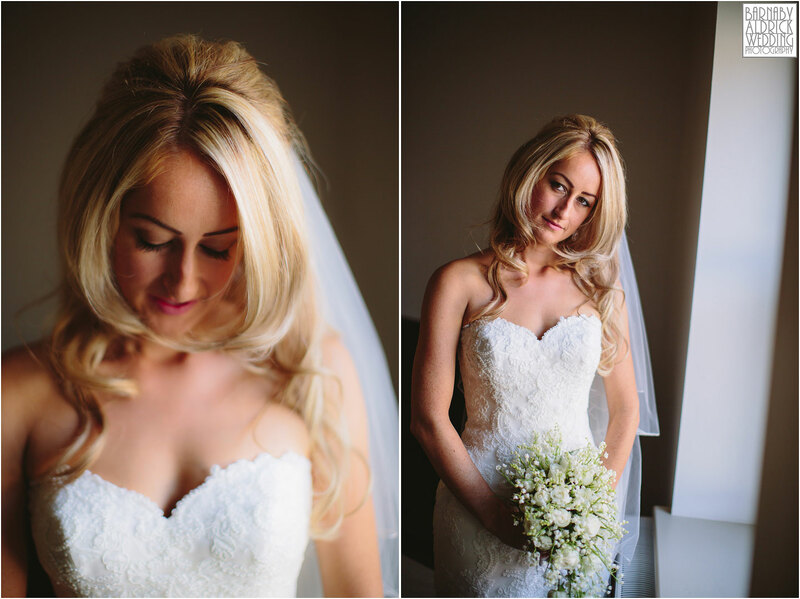 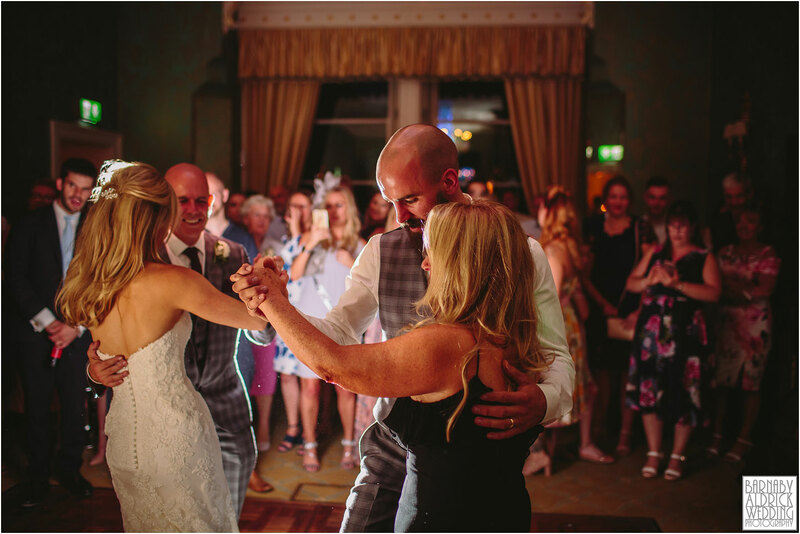 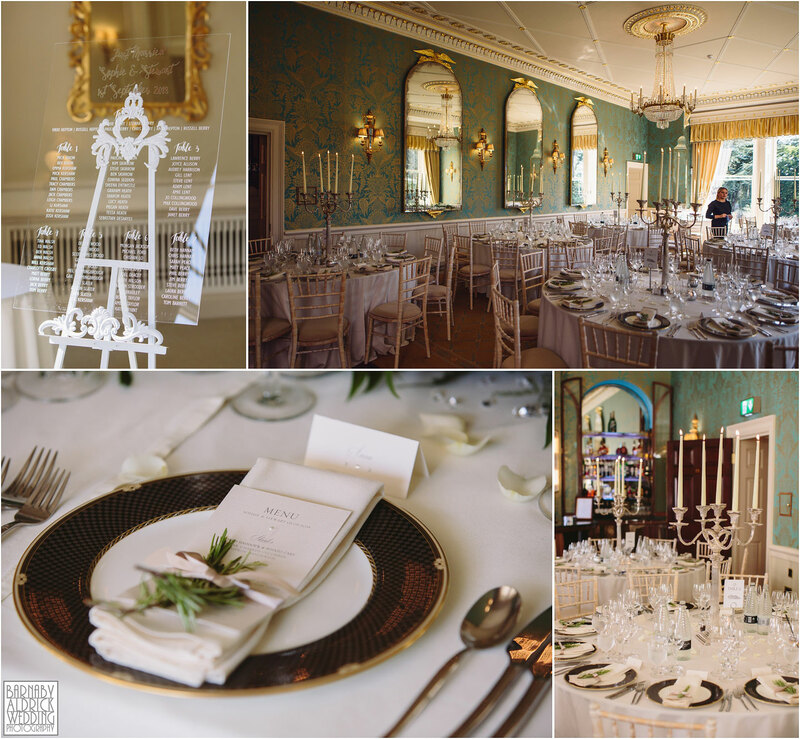 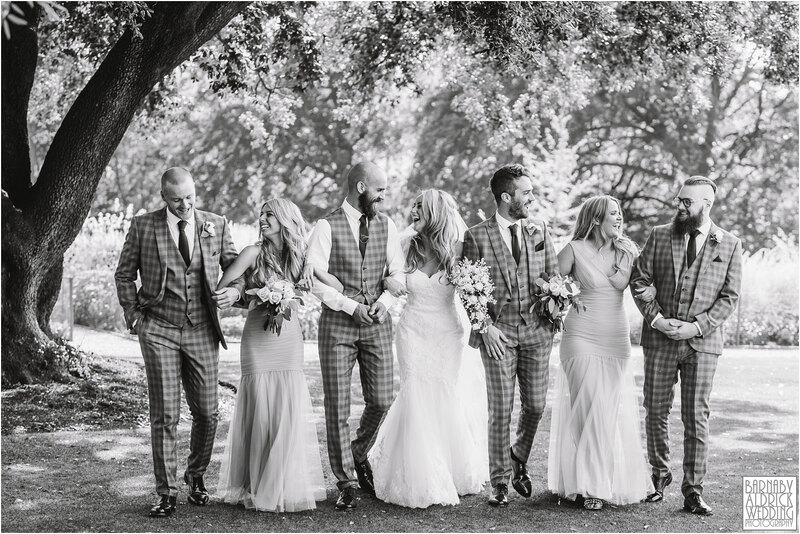 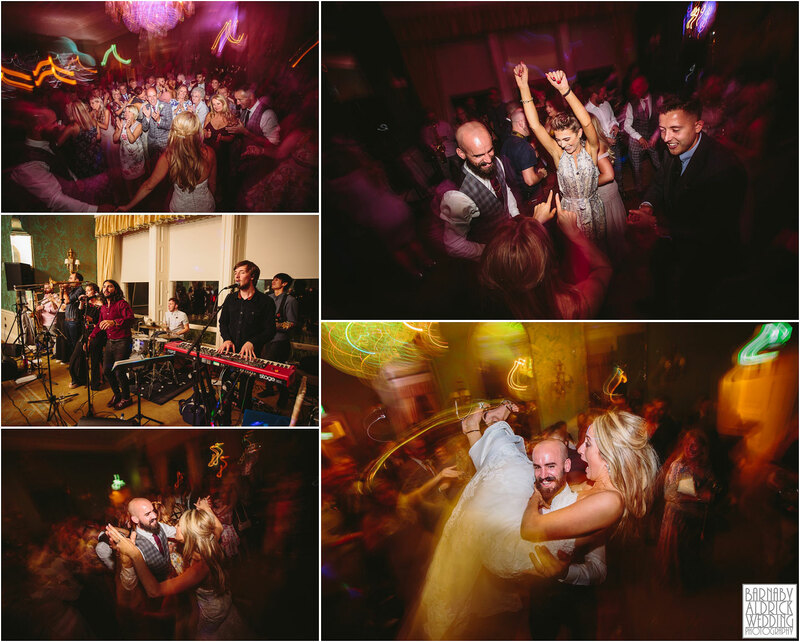 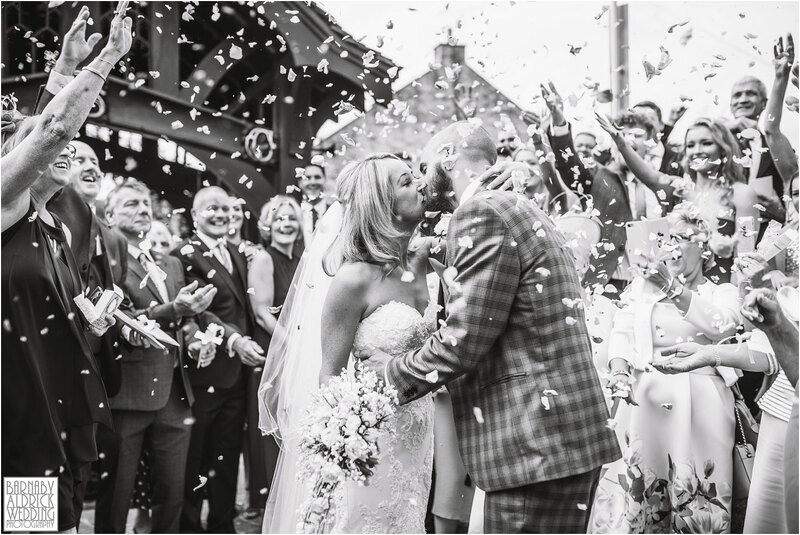 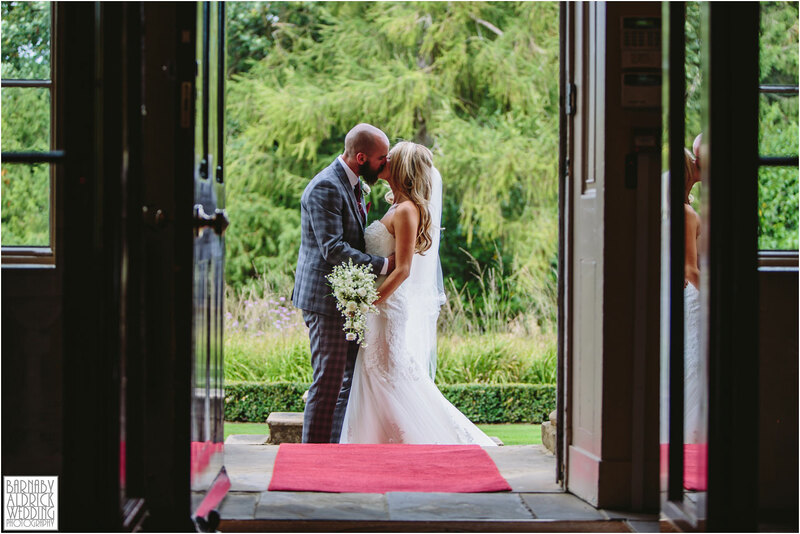 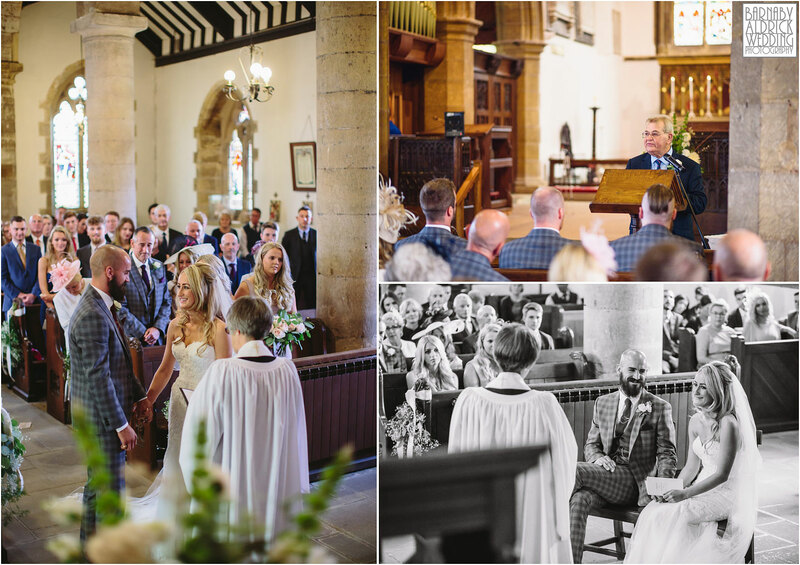 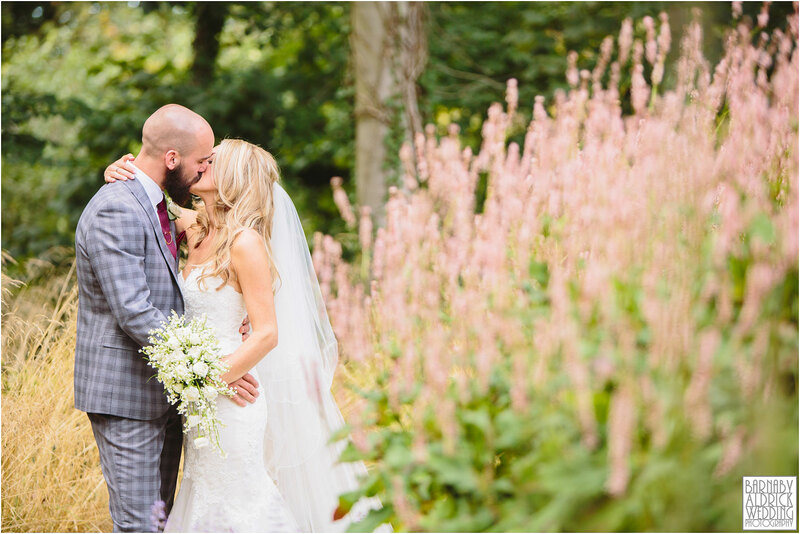 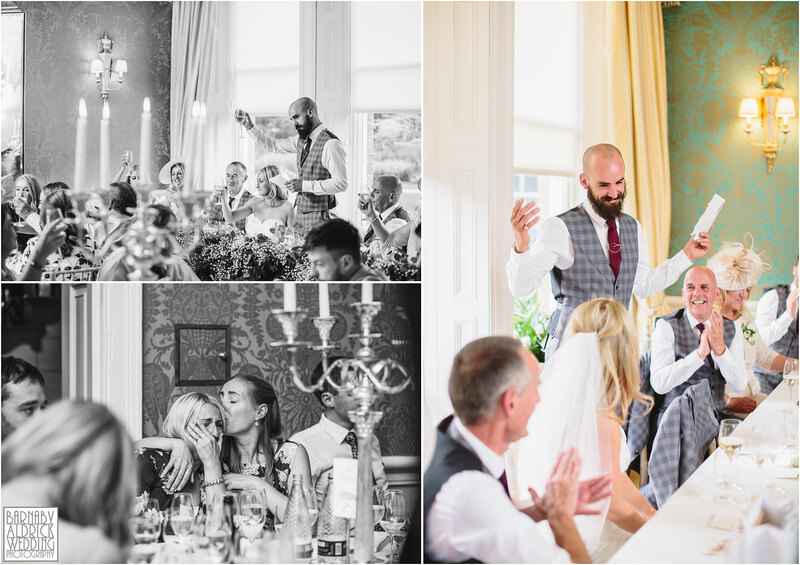 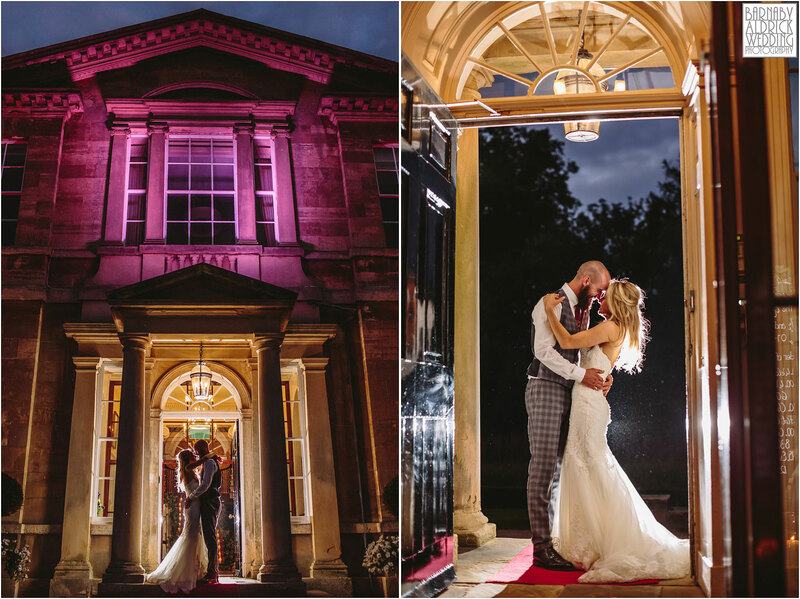 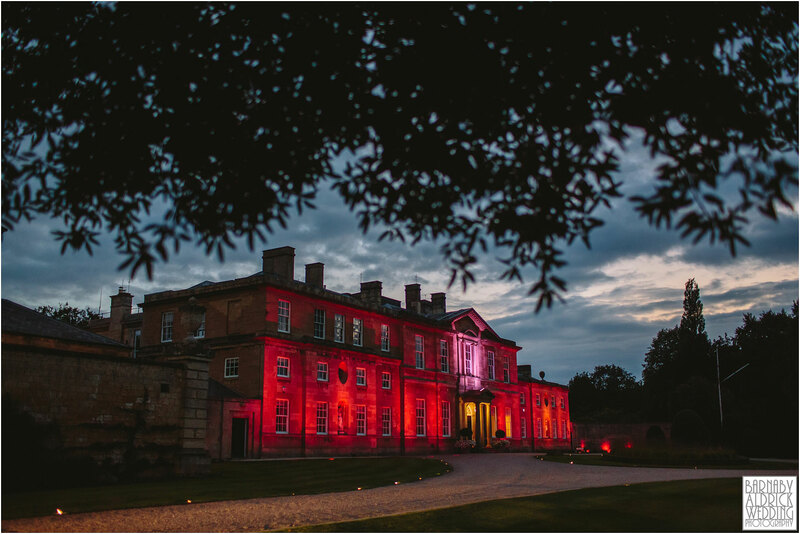 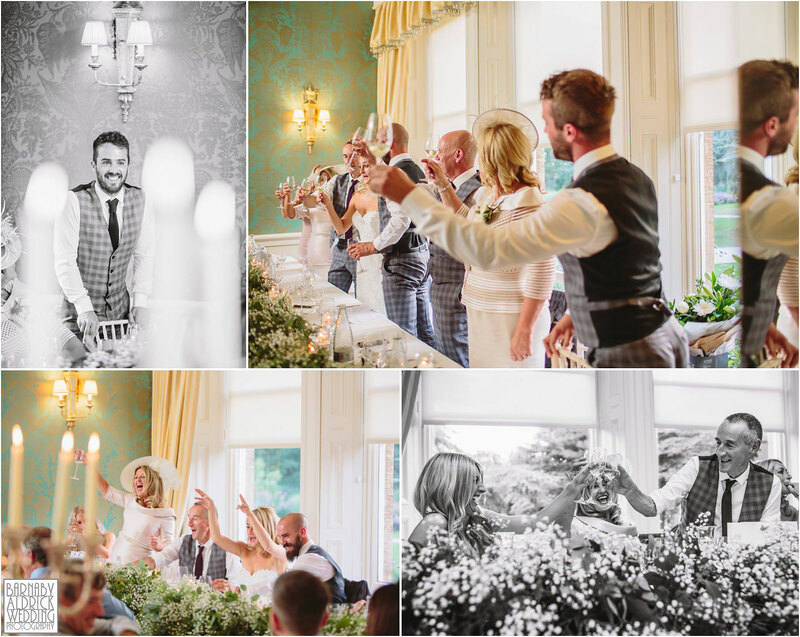 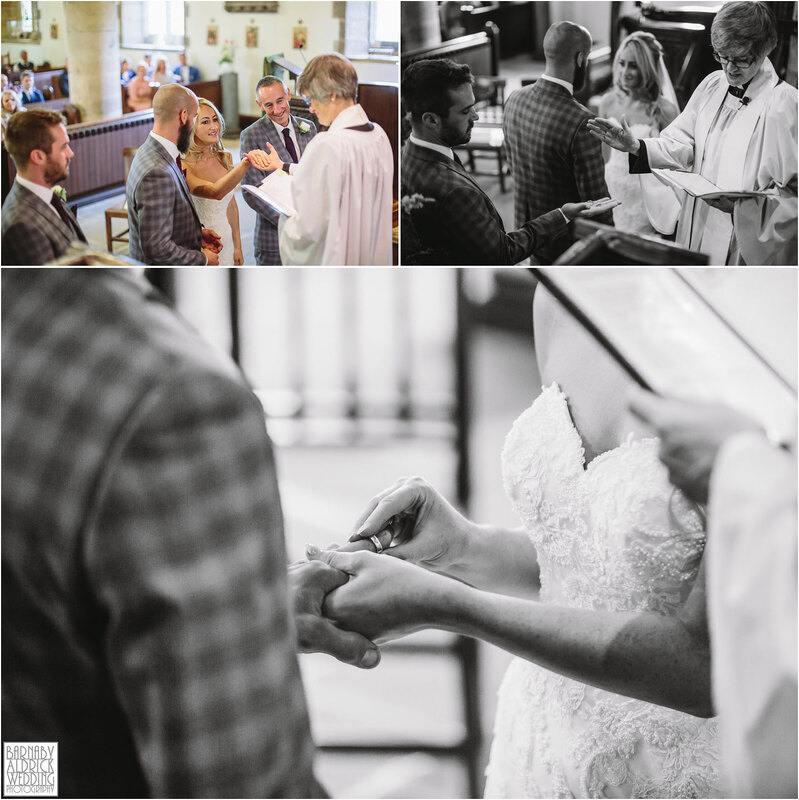 Bowcliffe Hall, and the staff there are absolutely incredible – and it’s fast becoming one of my favourite venues! 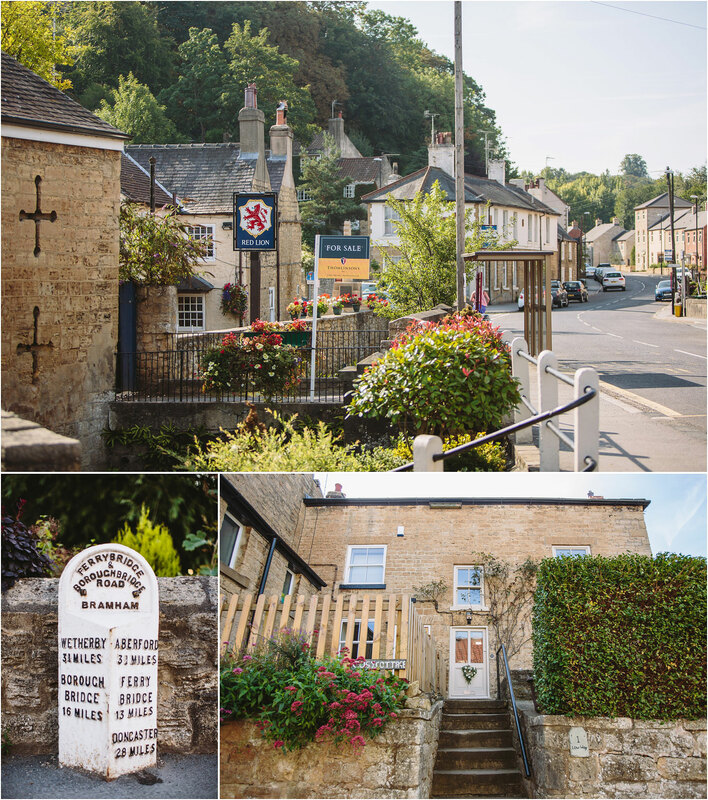 I just love the way it’s so much more than a standard country house, as it’s got this awesome automotive theme running throughout, with eccentric memorabilia everywhere and funky design tweaks. 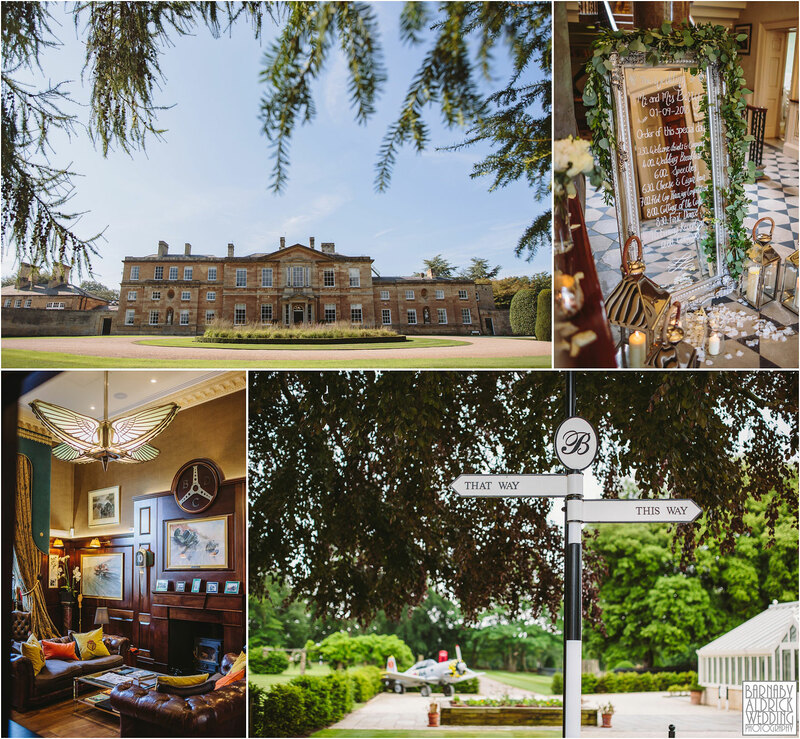 They’ve even got their own old fighter plane parked up, and an entirely separate aeronautically shaped ‘Blackburn Wing’ in the grounds! 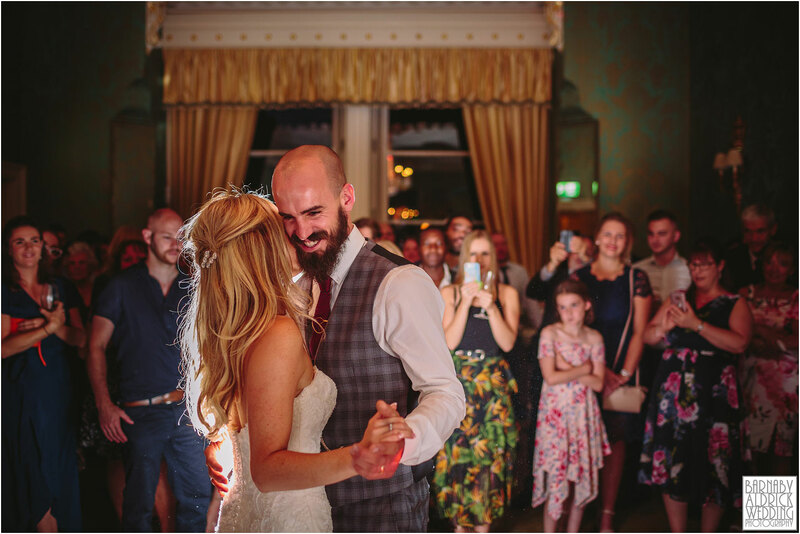 Laura, Michael and the team there did such a sterling job keeping everything smooth and easy, with a light jovial touch. 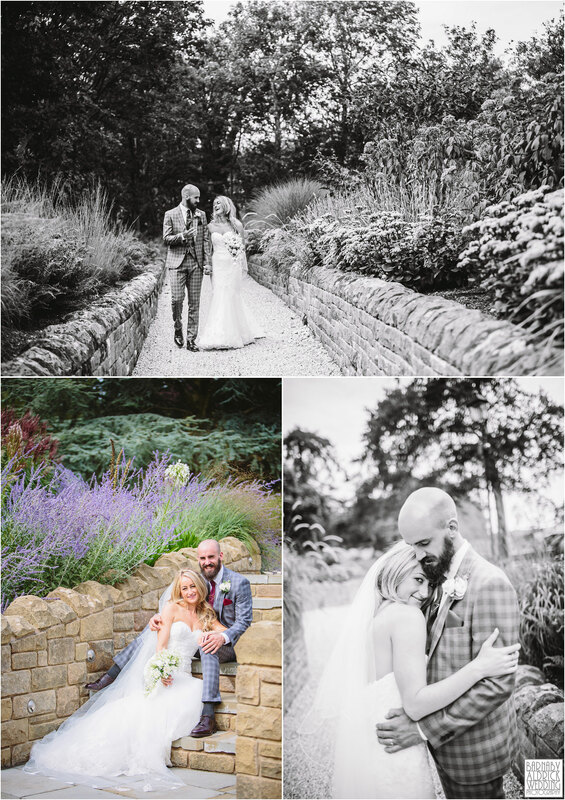 I’ll be uploading their full set of images to a password protected client area in just a few weeks, so if you’d like to be notified when all their images go live, register your interest at: clients.barnabyaldrick.com/SophieAndStewart. 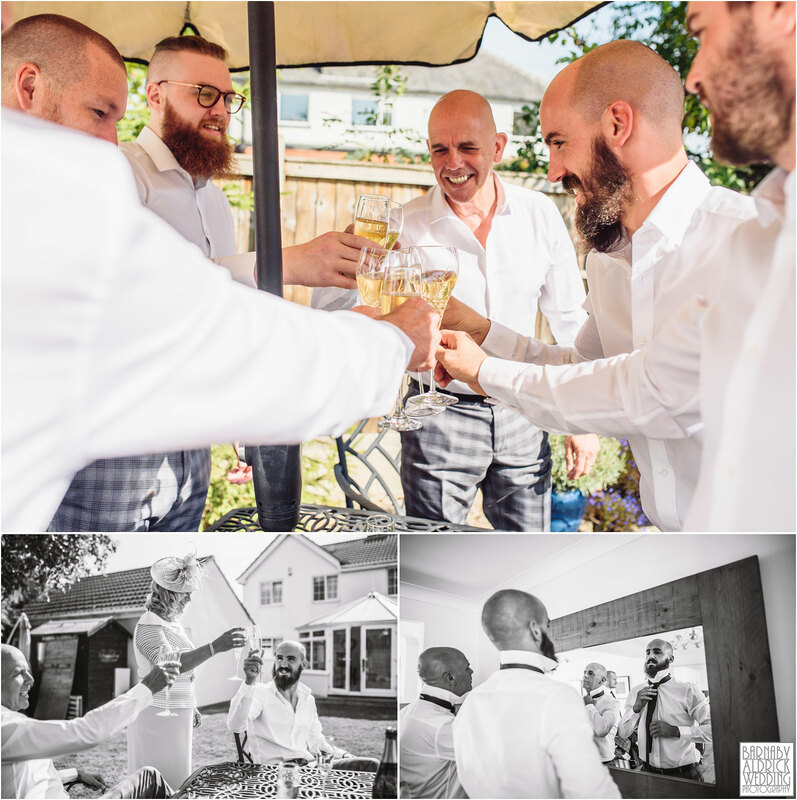 (NB: I’ll only use your email address to notify you about their gallery)In the meantime, feel free to share this loveliness – share to Facebook using the buttons at the bottom (or copy and paste the web address URL into a status), or visit my Facebook page here to share, or hover over the images to pin to Pinterest too! 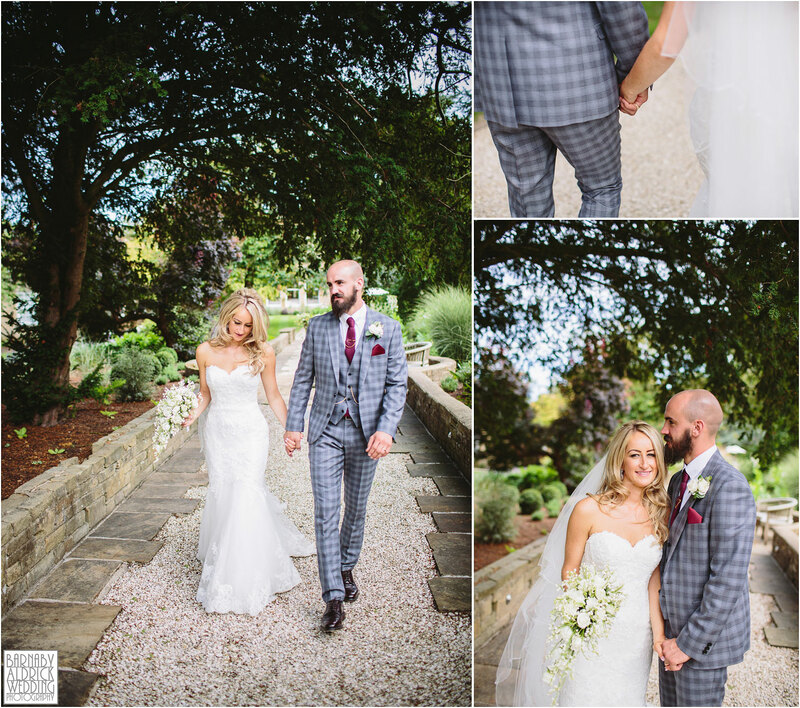 What a lovely day and what a lovely couple hey! 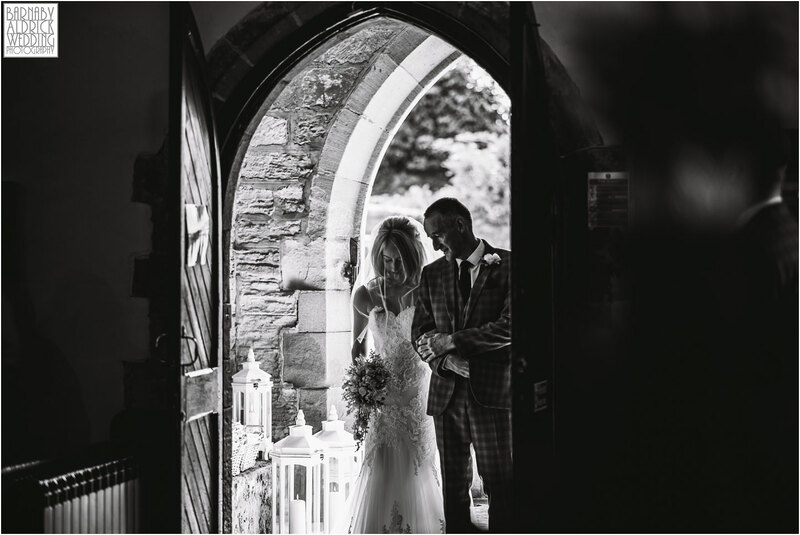 Here’s wishing Sophie + Stewart huge congratulations once again, and all the very best indeed! 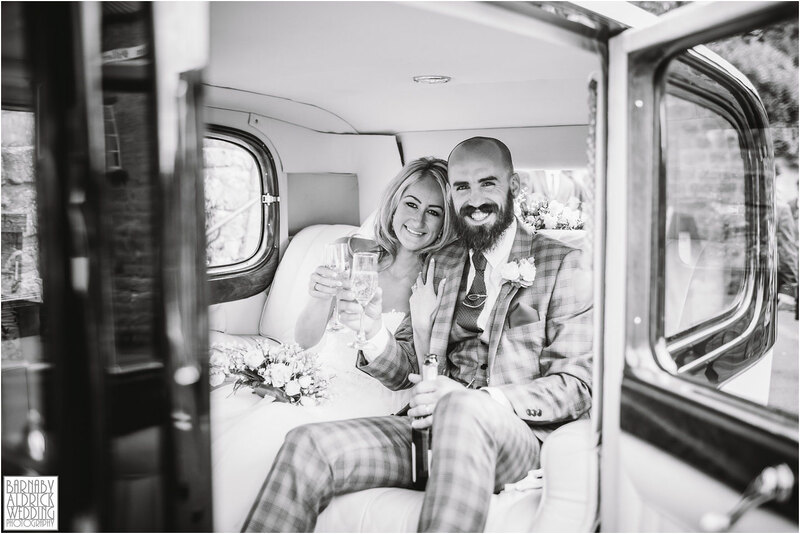 Have an awesome time in Mallorca on your honeymoon kids! 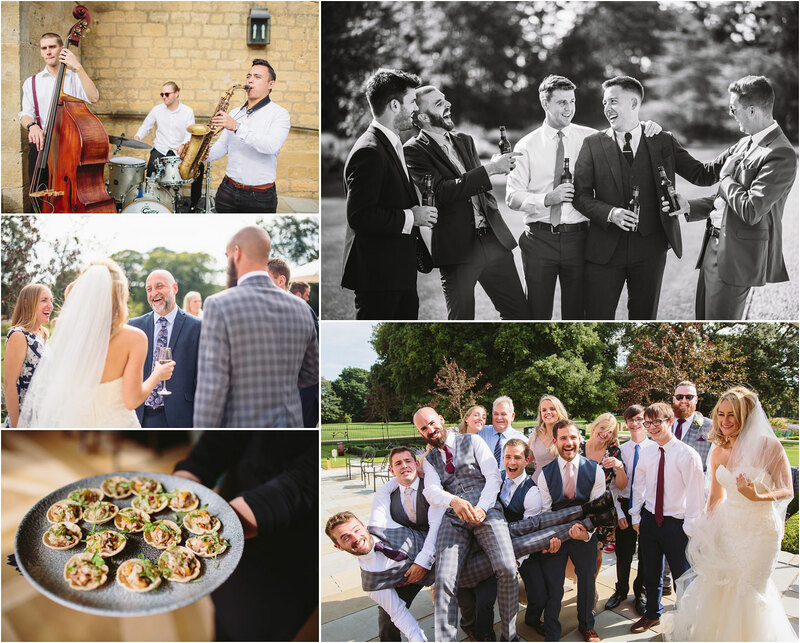 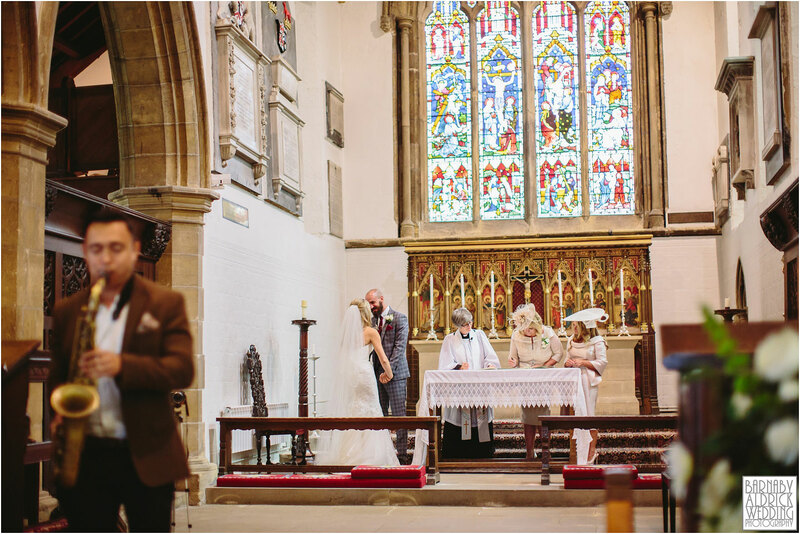 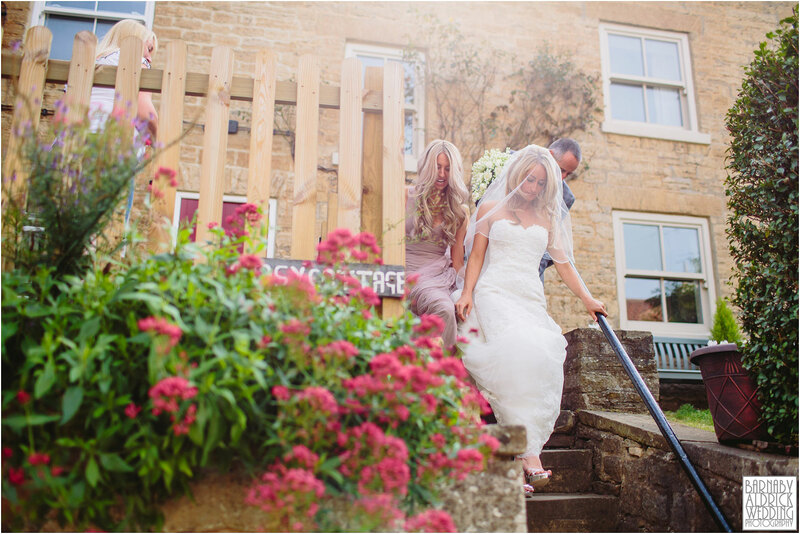 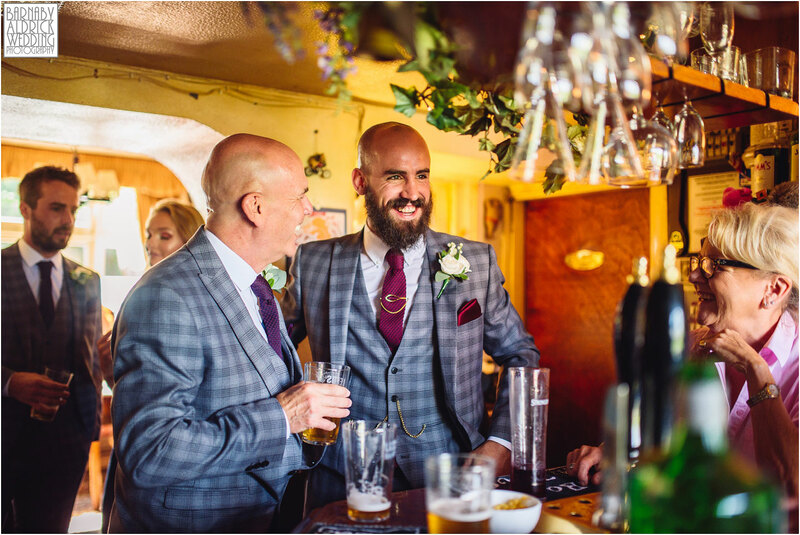 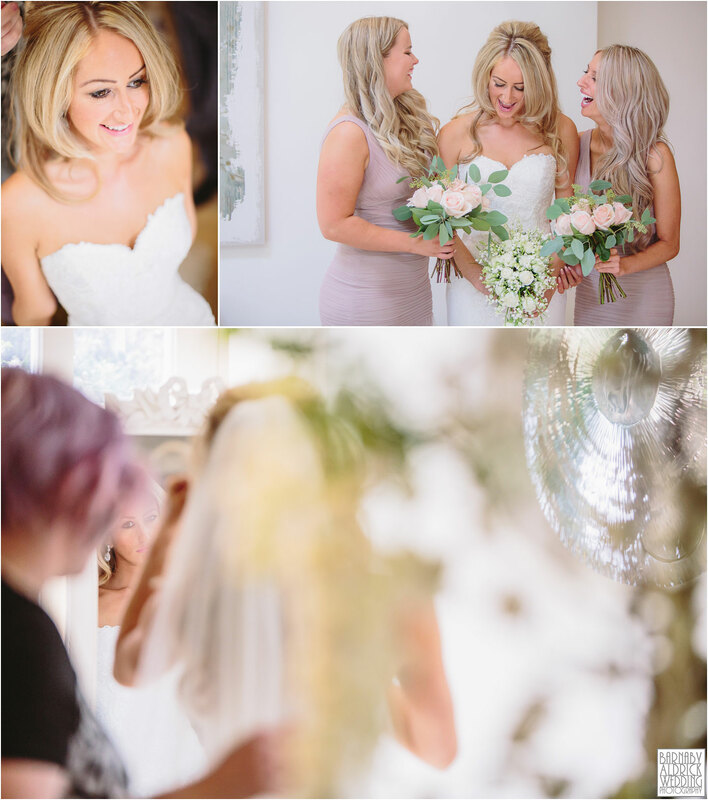 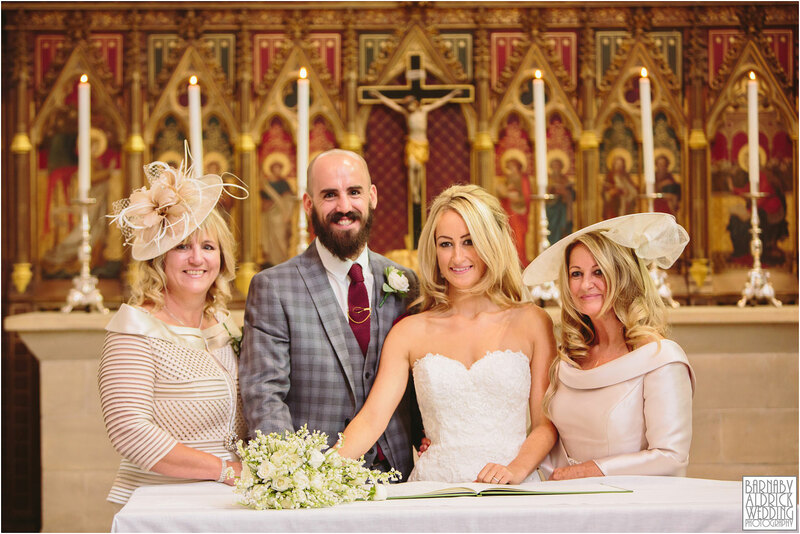 Florist: The Flower House, Garforth | Dress designer: Enzoani | Car Hire: Cupid Carriages | Cake maker: White Rose Cake Design, Holmfirth | Music/Entertainment: Matthew Hines – Saxophonist & Jazz Trio. 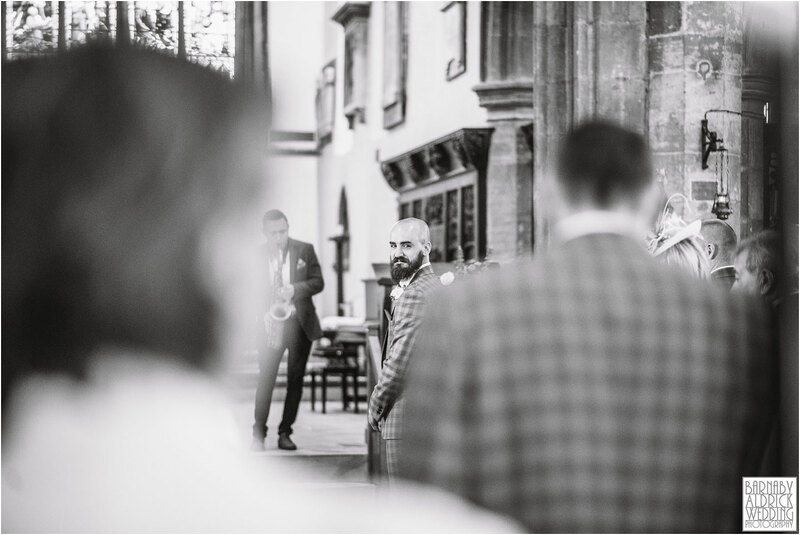 The Cover Cats is the live band in the evening.